Audi Ireland revealed the new Audi TT to great fanfare in Dublin last night at an exclusive preview event in the RDS. A Tron-like visual show heralded the arrival of the third generation model, which is officially expected in Ireland towards the end of the year. Audi says the new model is lighter, has a lower centre of gravity and driving position than its predecessor, with lower fuel consumption, improved driving dynamics and better handling. Greater high speed stability and traction is offered via the revised quattro all-wheel drive system. A choice of turbocharging and direct injection petrol and diesel engines will be available in the new TT and TTS from launch, with power outputs ranging from 184PS to 310PS. Audi expects the 2.0 TDI manual front wheel drive model to be the most popular in Ireland. It has a top speed of 234kph, can accelerate from 0-100kph in 7.2 seconds and has a combined fuel efficiency of 4.2l/100kph. Fuel emissions are 110g/km, putting it in the €190 annual road tax bracket. Audi describes this as ‘a new record low level in the sports car world’. The new Audi TT also showcases some excellent sounding technology, including striking looking Matrix Beam LED headlights, which dim automatically when traffic conditions require. The lights are also hooked up to the car’s SatNav system, allowing for predictive cornering lights into a bend before the steering wheel is turned. Inside the cabin, a 12.3-inch multi-media interactive panel sits in front of the driver as ‘a unique infotainment platform’. As well as the usual mapping and media playback it also has a high-level search function, which allows the user to type what they’re looking for on the touchpad, be it an address, a contact or a song title, and it will find it. The system has 4G data connectivity which powers Google Earth and can enable a Wi-Fi hotspot. 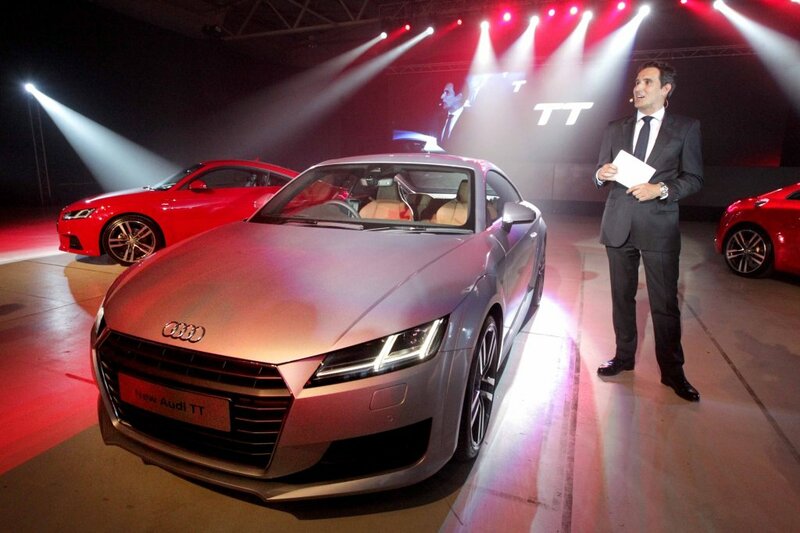 The new Audi TT is expected in Ireland later this year. Irish prices and specifications will be announced closer to launch. Visit the Audi Ireland website or its Facebook page for further details.